Happy Thursday! Almost through the week and I am soooo looking forward to spending this weekend outside and celebrating Mothers Day with my momma who is in town! :) If you've been following me for awhile, you may recognize these two cute faces below, MJ and Mac! I love getting to photograph these sisters and see how much they grow and change each year. They are each growing into such polite, sweet young ladies, who are also GREAT in front of the camera! 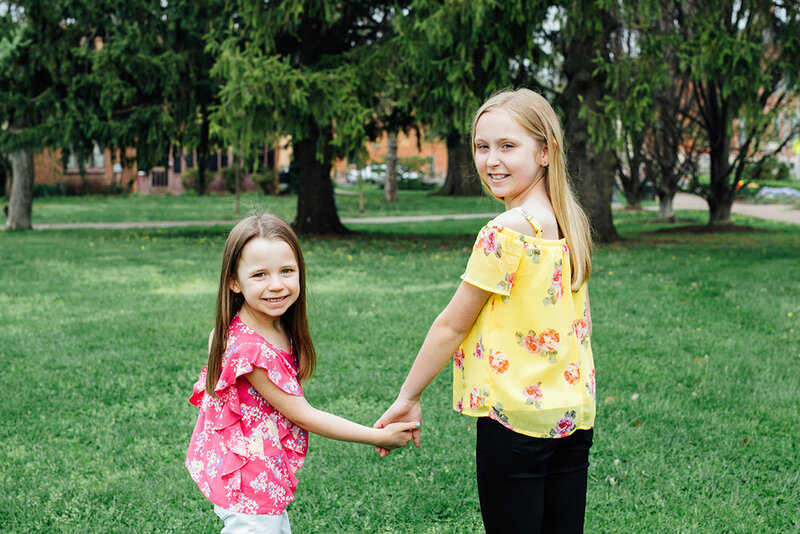 Enjoy some of my favorites from their spring mini session at Schiller Park.